Zest up your salad with this tasty oil and vinegar Italian dressings. 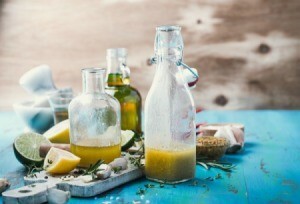 This is a guide about making oil and vinegar Italian dressing. 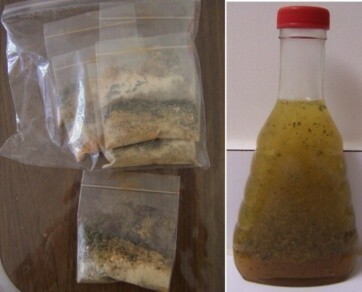 Very easy to make and tastes better than the store bought salad dressings. I like to make up several seasoning packets and keep them in my kitchen cabinet for when I need another bottle of salad dressing. 1 1/2 cups vegetable oil (I prefer canola oil) - can use a combination of canola and olive oil. Place in a tightly closed jar and shake to blend. Keep refrigerated. Source: Recipe found in a cook book.